« NAO’s Nonprofit Accounting for Non-Accountants: Why Does the Balance Sheet Balance, and Why Should I Care? 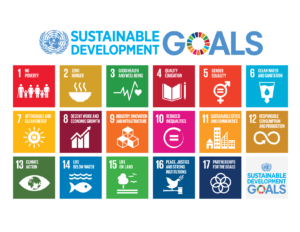 You know of the SDGs, and you get what they are about, but do you know how they actually came to be? Do you question why certain indicators were chosen over others to measure progress? Do you wonder why any of this matters and how it impacts your work? Join us on Thursday, January 25 at noon for a brownbag lunch as we host Lin-Harmon Walker and Neeraja Havaligi to talk us through some of these questions at the Mercy Corps Action Center. Lin is the Executive Director of the Greater Portland Sustainability Education Network (GPSEN). Lin obtained her JD degree from Lewis & Clark Law School with a specialization in environmental and natural resources law in 1991. Lin co-taught Pace’s United Nations Environmental Diplomacy course, training students placed in the UN Headquarters Missions of small island developing states. Several of her students sat in on negotiations for the SDGs. Her course in Comparative Environmental Law from a Global Resources Perspective was the first of its kind in the US, and she is coauthoring a book on Global and Comparative Environmental and Natural Resources Law with colleagues. Neeraja is a GPSEN Fellow and has a doctorate in environmental science with a research focus on urban water and food resilience and urban agrobiodiversity. Her work experience includes consulting with United Nations Development Program (UNDP)-Global Environment Facility (GEF) and Food and Agriculture Organization (FAO) for biodiversity conservation, sustainable land management, gender mainstreaming and climate change adaptation in countries from Asia and the Pacific, Arab States, Europe and South American regions. GPSEN is a A UN University Regional Center of Expertise (RCE) in Education for Sustainable Development. An RCE is a network of organizations within a region that facilitate and deliver education for sustainable development (ESD) to local communities. The education may be formal (e.g., classroom), nonformal (e.g., educational arms of organizations), or informal (e.g., the media). The RCE program is a global initiative of United Nations University, designed originally to support the UN Decade of Education for Sustainable Development (2005-2014). As of January 2014, there were 127 RCEs worldwide. **You are welcome to bring your own food and drink to the Action Center.